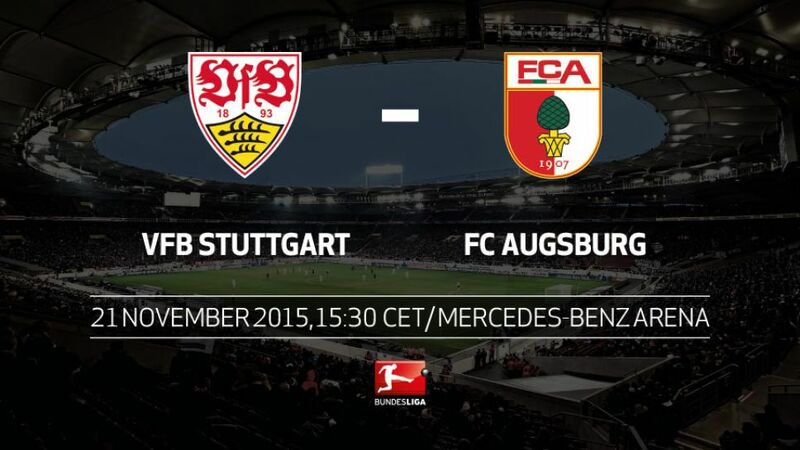 VfB Stuttgart welcome FC Augsburg to the Mercedes-Benz Arena on Saturday (kick-off 15:30CET/14:30GMT) in a game that bears all the hallmarks of a relegation six-pointer. Click here for a review of VfB Stuttgart's first third of the season. Stuttgart and Augsburg have both suffered the highest number of defeats in the current Bundesliga campaign (eight).VfB have never before conceded as many goals after 12 matches (27).It is the same story for Augsburg, who have conceded the second highest number of goals in the Bundesliga this season (25).Augsburg have picked up just two points from their last seven Bundesliga matches.Alexander Zorniger's side have kept clean sheets in their last two home matches - their longest run without conceding since March 2012.Stuttgart last recorded three successive clean sheets in spring 2009.FCA are the only team still without an away win in this season's Bundesliga.Stuttgart are the only club against whom Augsburg have enjoyed five successive Bundesliga wins.